As of late, Skopje has two main Cinema Centres, where all the latest blockbusters are available for viewing. All movies, with exceptions of ones meant for children aged 5 or less, are in English, with unobtrusive Macedonian subtitles placed beneath the white screen. Kino Milenium is one of the older cinemas in Skopje and a staple at the GTC Skopje Shopping Centre in the heart of the city. Although it does not have as many auditoriums and as new equipment as the other cinema in town, it does posses a much grander and classic atmosphere, as well as lower pricing. 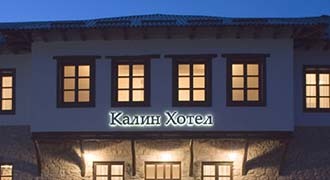 Cineplexx is located in Karposh III, on the third floor of Skopje City Mall. They have the latest digital cinema technology and offer free parking of up to 4 hours to all their patrons. The original movie names can be found right below the movie rating on the following link. Now Playing Please be mindful of the date on the drop down menu at the start of the page. All 3D movies are available in 2D as well.